Guest conductor Mario Alejandro Torres will lead the Bainbridge Symphony Orchestra’s lyrical and lovely winter program this February. César Franck wrote a hybrid symphony-symphonic poem when he penned his “Symphony in D minor,” his most enduring work for orchestra. The opening movement seems to ask a question with its three-note motive, and the final movement aims to answer it with both ebullience and sincerity. Composer Bright Sheng was lifted to national prominence by Leonard Bernstein and has received commissions from orchestras such as the Philadelphia Orchestra and Detroit Symphony. His orchestral setting, “Black Swan,” of Brahms’s “Intermezzo in A major, Op. 118, No. 2,” is moving and beautifully haunting. Eric Ewazen’s “Concerto for Bass Trombone and Orchestra” features guest bass trombonist David Krosschell and is playful in the first movement, while the second is a sort of “song without words.” The finale will impress listeners with its power and drive as it soars to a riveting conclusion. Mario Alejandro Torres, a native of San Pedro Sula, Honduras, is a conductor, teacher, performer and promoter of artistic community growth based in Seattle. 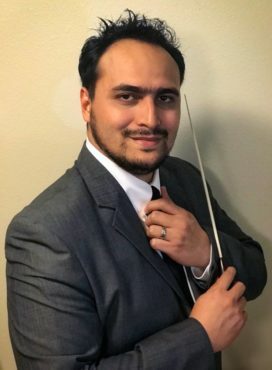 He is bringing a new and exciting sound to the Poulsbo Community Orchestra, where he has been recently appointed music and artistic director. On February 2017, he did a conducting fellowship with the Seattle Symphony, assisting maestro Ludovic Morlot in an exciting concert where Hilary Hahn performed the impassioned Bruch’s first violin concerto. 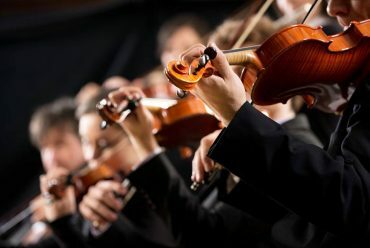 At University of Washington, his energy and passion to work with young musicians have set UW Campus Philharmonia Orchestras to higher artistic performances. Torres has appeared internationally as a guest conductor and clinician for music programs of social inclusion for troubled teenagers, such as The National Music School of Suriname in South America and the Académie Musicale Occide Jeanty in Croix des Bouquets in Haiti. He also gave performances with the Eddy Snijders Orchestra in Paramaribo, Suriname, and in his hometown with the professional Chamber Orchestra of San Pedro Sula and the student choir of the School of Music Victoriano Lopez. 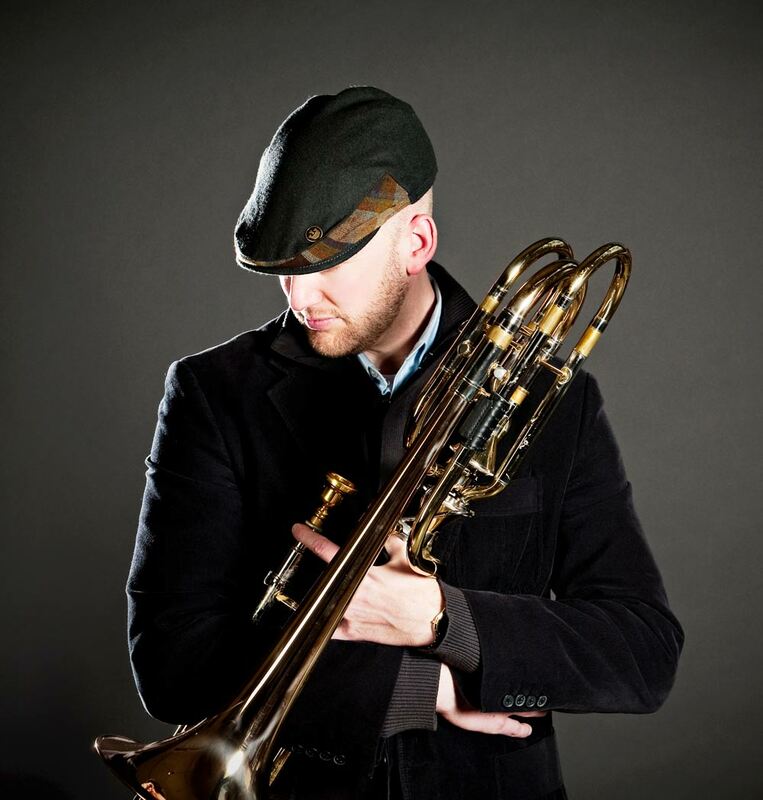 David Krosschell is an accomplished bass trombonist, tenor trombonist and music educator based in the Seattle area. Well versed in classical, jazz and commercial styles, he has performed with the Seattle Symphony, Tacoma Symphony, Yakima Symphony, Seattle Wind Symphony, Northwest Sinfonietta, Seattle Rock Orchestra and the Seattle Modern Orchestra. Many of his recent endeavors center around performing and presenting chamber and contemporary classical music for wider and more varied audiences. Krosschell, PhD, is currently on faculty at Seattle Pacific University and the School of Music at University of Puget Sound, where he teaches the trombone studio, brass techniques, music theory and ear training. Bainbridge Symphony Orchestra’s winter concerts are Saturday, Feb. 17 at 7:30 p.m. and Sunday, Feb. 18 at 3 p.m., with a preconcert chat on Sunday at 2:15 p.m. Tickets, $21 for adults and $18 for seniors, students, military and teachers, may be purchased online at www.bainbridgeperformingarts.org, by phone at 206-842-8569 or in person at BPA, 200 Madison Avenue North, Bainbridge Island. Each youth receives free admission when accompanied by a paying adult, thanks to the BSO’s “Youth in Music Initiative” funded by Wicklund Dental. BPA box office hours are 1 to 4 p.m. Wednesday through Friday, and one hour prior to each performance.